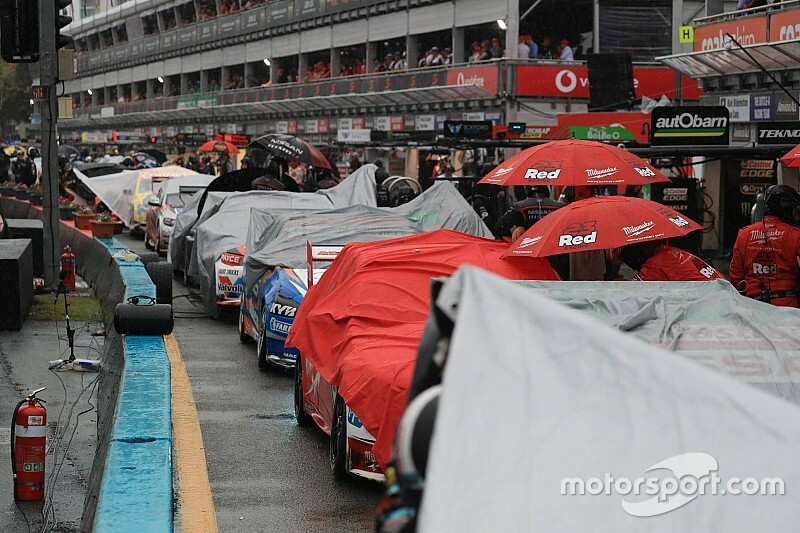 The second leg of the Gold Coast 600 has been officially abandoned, after the Surfers Paradise street circuit was lashed by thunderstorms. The race made it to the 37-lap point before it was red-flagged, a storm cell hovering directly over the circuit leading to safety concerns for crews and officials. Continuing rain then made it impossible for the race to be restarted thanks to the pooling water. With a time certain finish of 4:48pm local time, and a requirement of 50 per cent race distance for points to be awarded, race control did attempt to limp to the midway point behind the Safety Car. However after just six laps the race was suspended again, before being officially abandoned at 4:25pm. That means no points will be awarded, and Scott McLaughlin will leave the Gold Coast with a 14-point lead over Shane van Gisbergen. It also means Craig Lowndes and Steve Richards are the Enduro Cup champions. Anton De Pasquale was technically the leader of the race when it was abandoned, however that was more down to an off-sequence strategy. 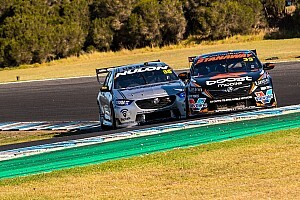 The Erebus driver was one of the few primary drivers to start, which meant he filtered to the front as the majority of crews pitted to make a driver change on Lap 34. 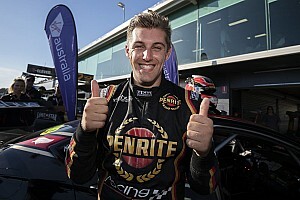 The best of the cars in genuine contention was James Courtney and Jack Perkins, who had run fourth in the early stages before the wet weather arrived. Earlier in the race James Moffat had sprinted into the lead, having executed a textbook pass on polesitter Luke Youlden on Lap 13. With no points award, McLaughlin was the big winner in terms of the title fight. Having wrangled the lead from van Gisbergen yesterday, he'll now carry a slender 14-point advantage to the penultimate round in New Zealand. "At the end of the day it's safety first for everyone, and obviously it's pretty wet out there not only for us, but the officials," said the Kiwi. "[The title fight has] been neck-a-neck the whole time, me and Shane are battling hard. I think to come out of here knowing they are going to be very strong, to get the championship lead is nice. "It's a little lead, but it's a lead." Lowndes and Richards, meanwhile, celebrated wrapping up the Enduro Cup, something that could easily have been in doubt had the race run full distance thanks to Richards clashing with Warren Luff in the early stages and Lowndes then being pinged for an unsafe release. 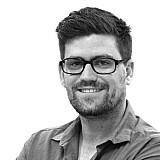 "What a weekend, to be honest," said Lowndes. "Yesterday we qualified poorly we stormed back though the field. Today we qualified well and then storm came. It's been a hell of a run. 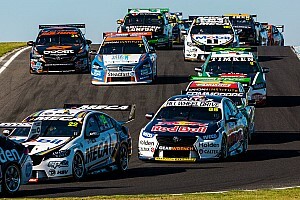 "Last race with Richo, it's really special to be able to take that back to the workshop and have both our names on it. And for [engineer John mcGregor], who has worked pretty hard this year to give us a car to do what we do." Richards added: "It's been an incredible last three races. From the outset when I drove this car I couldn't believe how good it was. "The boys have done a great job all campaign, and here we are. "It's the one trophy I was hoping to get hold off before I finish driving, and we got it."